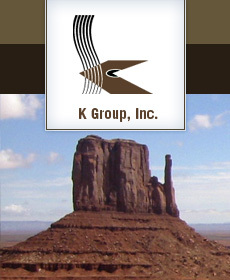 K Group brings broad experience to the field of new business development. Our approach, NewRevStreams ID, to building new business initiatives recognizes the enormous challenge of finding opportunities that do not currently exist. For true new business opportunities there is no “market” or no customers. Therefore, there is no market size to estimate. There are no competitors or channels of distribution, so there is no one to copy. And probably most problematic, there is no market definition in place, so the new business is (initially) difficult to talk about. Underlying those difficulties are tremendous opportunities. The primary focus of each K Group project is to identify completely new categories of business. New categories are created by our clients (companies), not by our clients’ customers. Customers can’t articulate a new business category. They can’t respond to something they have never experienced. They can only react to the new concepts that our clients create. When Michael Dell conceptualized selling computers via the phone and the internet, without a retail presence, the computer industry thought that this new category would be a “flash in the pan”. The past 10 years proved how wrong the retail computer industry was. Business development as practiced by K Group is not about satisfying current customers. It is about creating new customers. It is about articulating a new category of business, served by a completely new brand and brand proposition, and about new sources of revenue, NewRevStreams. Have a question? Many firms mistake product (or line extension) development for new business development. Our experience is that most new products have marginal profitability, tend to cannibalize sales from current products and rarely enhance the value of the firm’s brand or the value of their stock.